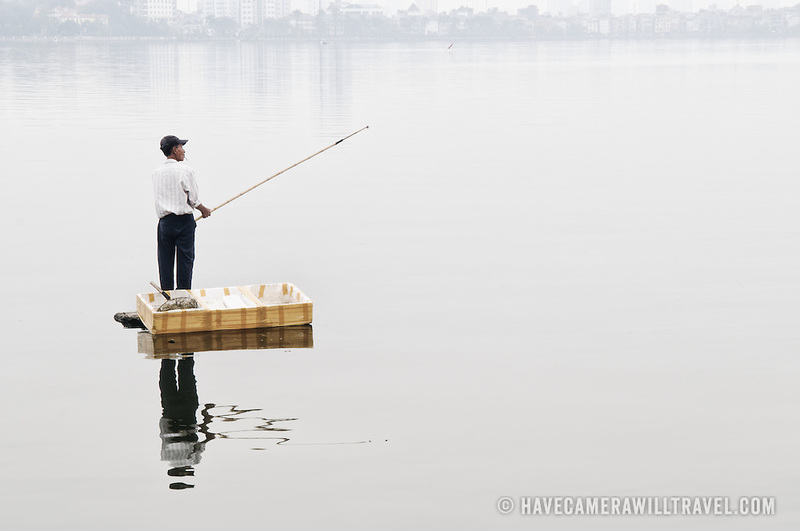 A fisherman stands on a small floating platform to cast his line from a bamboo fishing rod on West Lake (Ho Tay) in Hanoi, Vietnam. The thick haze obscures the far shore. Heavy pollution in the lake makes the fish caught there of questionable quality.